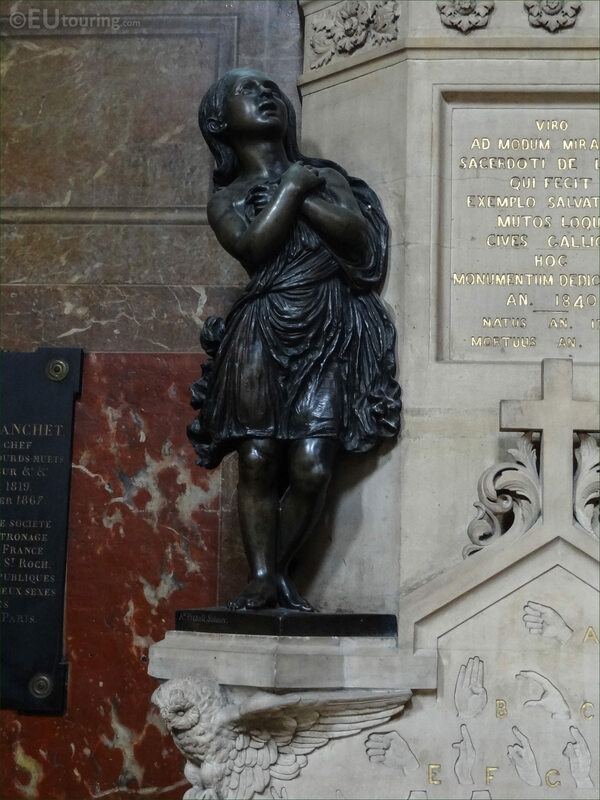 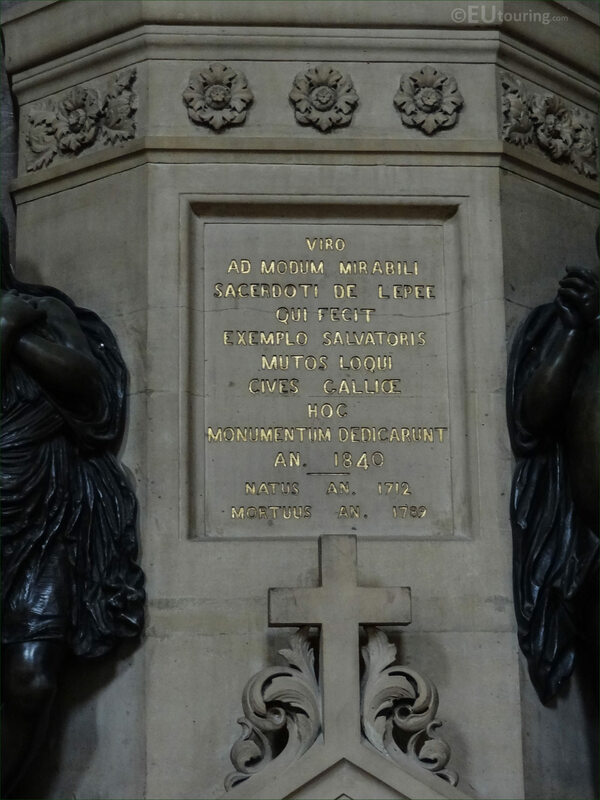 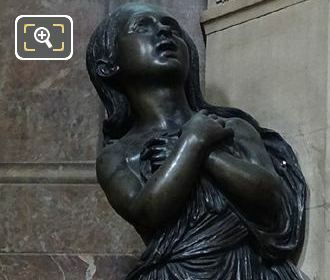 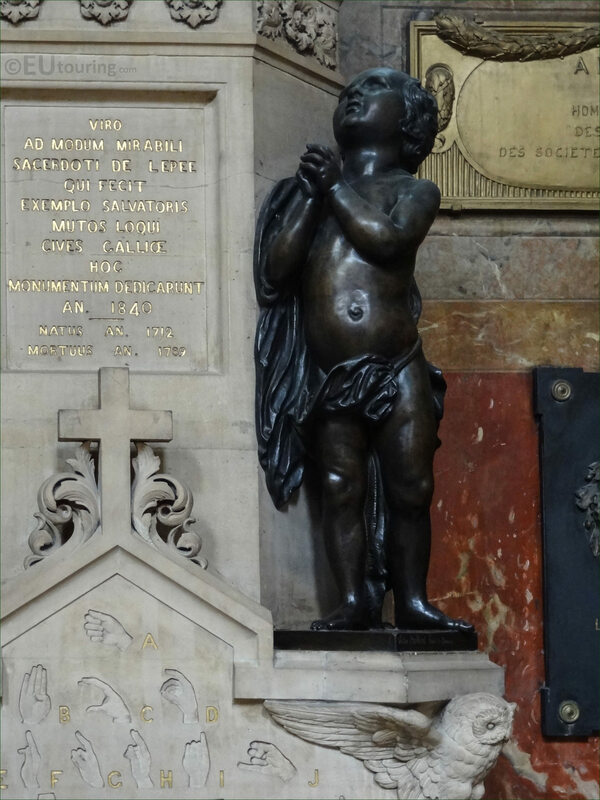 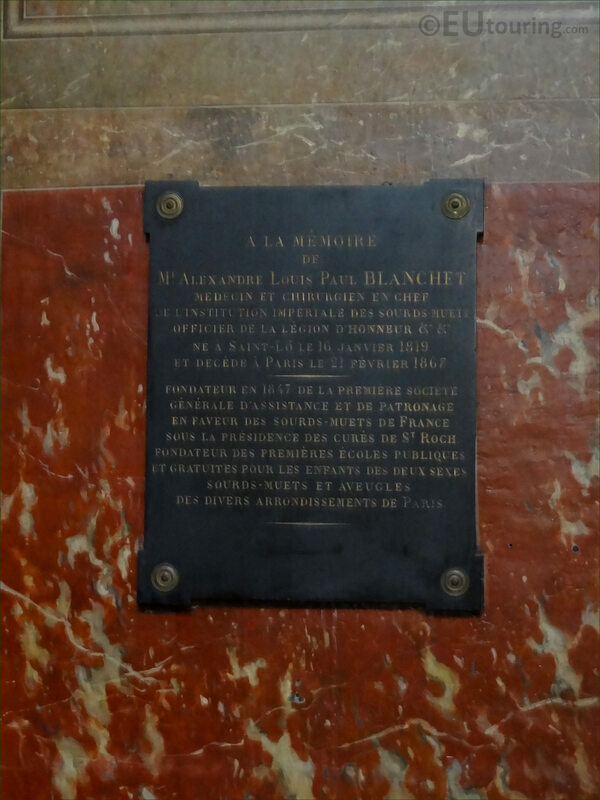 While we were within the Eglise Saint-Roch in the 1st Arrondissement of Paris, we took these high definition photos showing a Monument de L'Abbe de L'Epee. 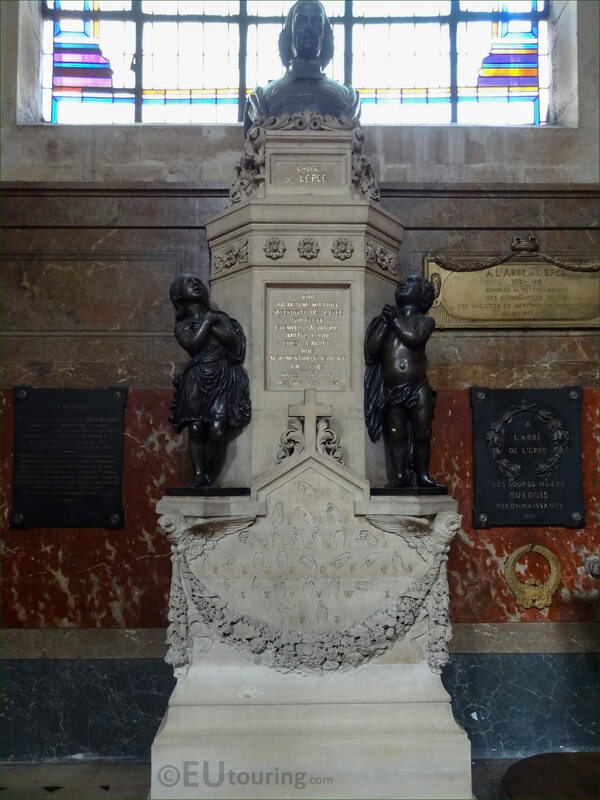 Originally there was once a chapel dedicated to Saint Suzanne, which became transformed into a church, and then a new church called the Eglise Saint-Roch was constructed, and this first HD photo shows a funerary monument, or with one of its chapels, which is called the Chapelle Sainte-Suzanne, in memory of the original chapel. 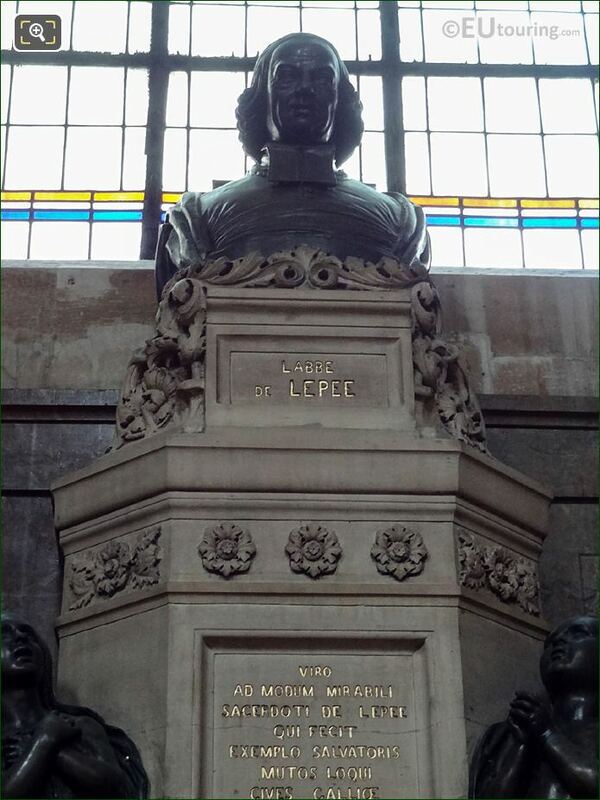 Called the Monument de l'Abbe de l'Epee, this is dedicated to Charles-Michel de l'Epee who was born in 1712 and studied to become a Catholic priest, yet was initially denied ordination, so then studied law, but eventually he was ordained, but tuned his attentions to charitable services, helping the poor in Paris, deciding to dedicate his time to teaching the deaf through a form of sign language. In 1760 Charles-Michel Abbe de l'Epee founded a shelter which became the first free school for the deaf in the world, initially focusing on religious education, which expanded enabling the deaf to defend themselves in court, plus he also set up a teacher training program that people could take back to their own country and set up similar schools. Homage and Recognition of Belgian Deaf-Mute Societies and Institutes of the deaf and mute of Belgium. 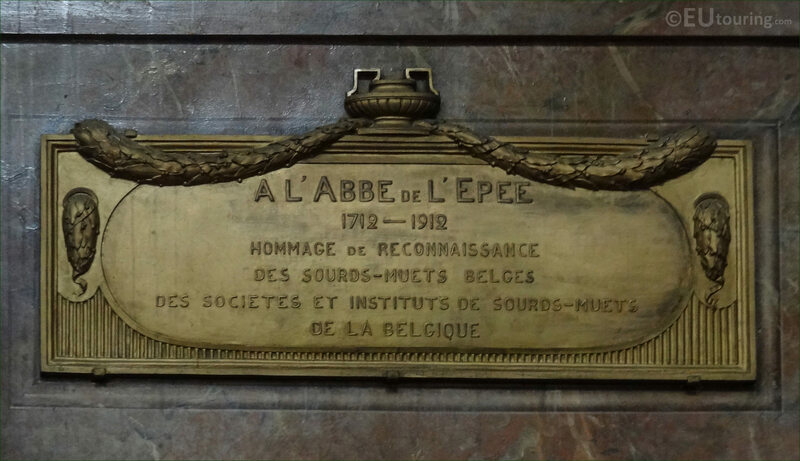 Another plaque dedicated to Abbe de L'Epee reads Grateful Swedish Deaf-Mutes, and with his influence that changed how people thought of the deaf or deaf and mute, in 1791 it was declared the they also have rights according to the Declaration of the Rights of Man and of the Citizen, and in the same year, the institution Abbe de L'Epee founded in Paris started to receive government funding. So here you can see the bronze statue depicting L'Abbe de L'Epee, sometimes spelt Lepee, located on the top of this monument in the Chapel of Saint-Suzanne within the Eglise Saint-Roch, which was actually only put in place in 1840, even though he had been buried within this church when he first passed away. 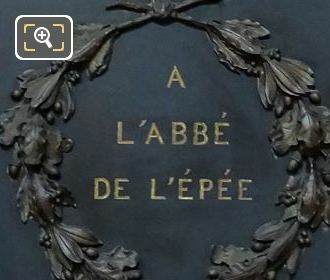 Yet this image shows another inscription on the cenotaphe of the Monument de L'Abbe de L'Epee with its gold lettering that is actually written in Latin and states the year that this was dedicated along with his years of birth and death, and Abbe Charles-Michel de L'Epee became known as the Father of the Deaf, leaving behind a legacy and school that still runs to this day. 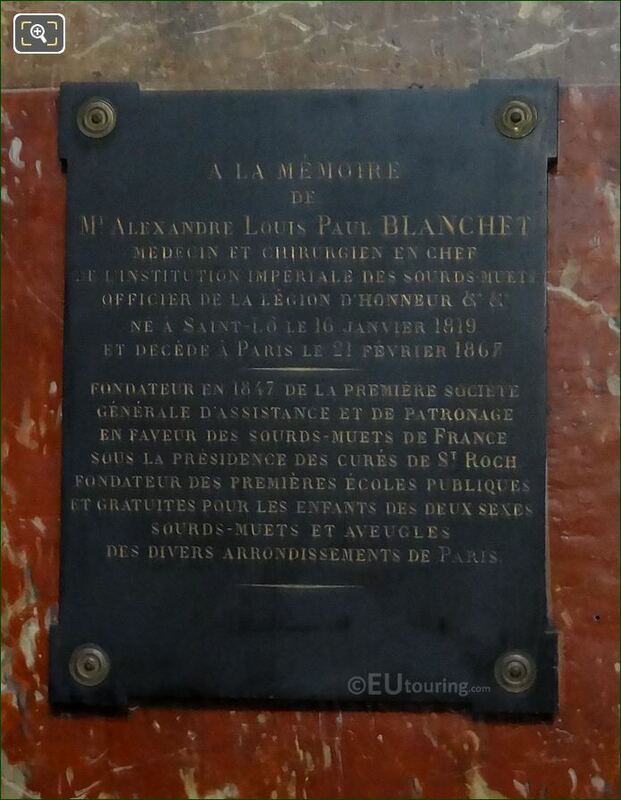 However, this image shows a plaque dedicated to a completely different gentleman called Alexandre Louis Paul Blanchet who was a doctor and became Chief Surgeon for the Institution of the Deaf and Mute, dedicating his career to helping those with ear problems and sight problems, although as you can see, born in January 1819, he died at a young age in Paris in the February of 1867. 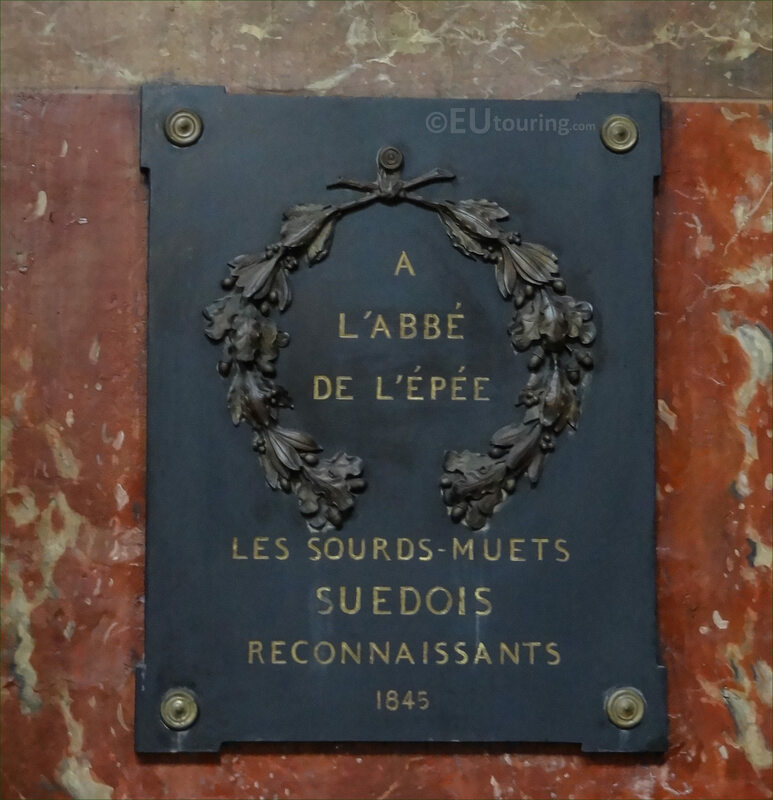 But, he was also the founder for the first society in the assistance and patronage in favour of Deaf Mutes of France in 1847 and the first public schools for infants of both sexes with these problems, and gained recognition through being awarded the Legion of Honour, so hence why it is fitting that he should also be recognised alongside Abbe de L'Epee in the Chapelle Saint-Suzanne within the Eglise Saint-Roch.